A brand new event featuring four days of fun-filled activities for all ages! WHAT: Enjoy vacation in the Sun – Mohegan Sun. This April, students and families are invited to take advantage of Family Days hosted in Mohegan Sun Arena. Family Days feature a series of exciting activities during spring vacation. 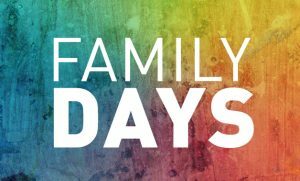 From thrilling arcade games, exclusive professional sport team demos, manicures, hair styling and culinary displays, Family Days has something for everyone!